Miller Piano Company is in their 3rd generation of providing excellent service, quality pianos and technical support. 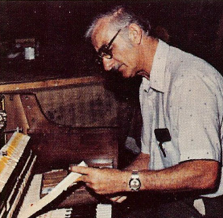 Edwin L. Miller began his career in piano manufacturing in Cincinnati, Ohio, in 1939. 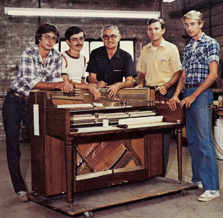 His four sons, Ken, Tom, Ron, and Don followed him into piano manufacturing, moving to Charlotte, North Carolina in 1978. 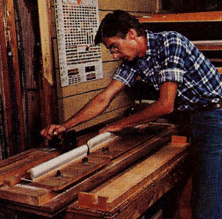 In the early eighties, Ken decided to enter the retail business opening Miller Piano Company. 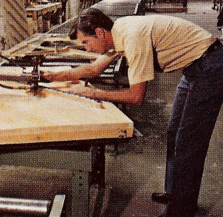 Using his manufacturing and design knowledge, he was able to select only the brands of pianos that offered excellent craftsmanship and great value. He still adheres to that philosophy today. With his family still at his side, Miller Piano enters their 4th decade in the piano retail business. The Miller Family made the transition from building fine pianos to selling fine pianos. 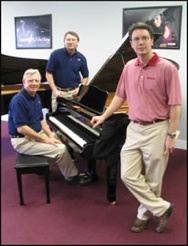 In the past nearly 40 years they have grown from a small family business to the largest piano dealer in Charlotte. Now, a third generation of Millers is at the helm of our business. Gregory Miller is a technician and provides tuning services for our dealership and the community. Many other of Edwin’s grandchildren assist with outside sales events and deliveries.